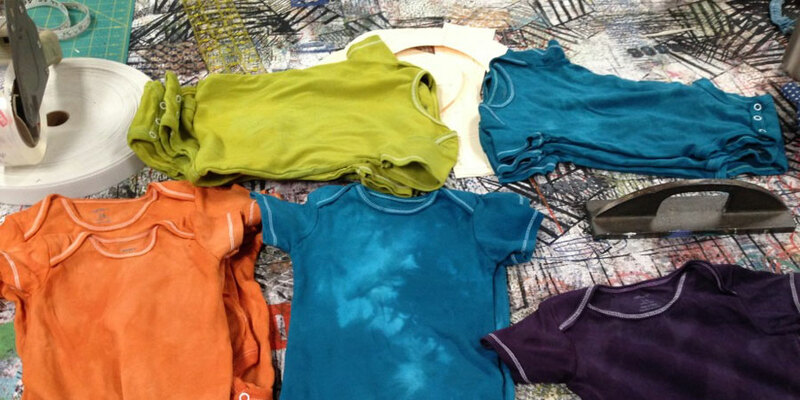 In keeping the creativity in the family, my daughter Tamara and I spent a child free day at the studio dyeing onesies. It was a smooth day, though I am terrible giving oral directions as I tried also to get something done. But after 37 years of trying to interpret her mother she got what I was saying and produced a mass of wonderful colorful onesies for grandson Cyrus and 2 other babies in our clan…A good start to the year.